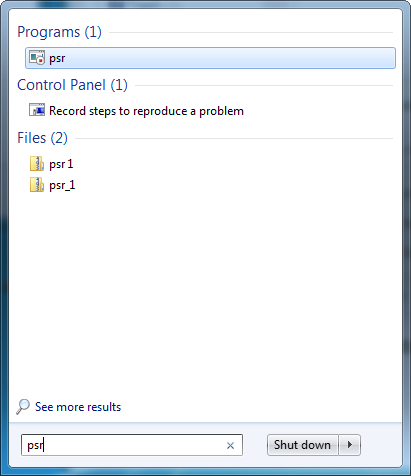 Microsoft provide a very useful utility called Problem Steps Recorder. This application will create a series of screenshots that you can then attach to your helpdesk report to show us the steps you are taking. Click on the Start Record button, then each time you click your mouse or interact with your keyboard, a screenshot will be taken showing us the step you took. There is no hurry to complete each step as the record is individual screenshots not a video. While recording, you can click on Add Comment then type in additional information that will be attached to the screenshot. When you have shown each of the steps, click Stop Record, then give your file a name. Review the ticket to ensure the file is attached and your description provides us sufficient information to identify your problem.